Analysts said apart from profit-booking by speculators at prevailing level, a weak trend in global market mainly led to the fall in gold prices at futures trade. Gold prices fell Rs 56 to Rs 29,340 per 10 grams in futures trade on Wednesday as participants cut down their bets, tracking a weak trend overseas amid profit-booking. 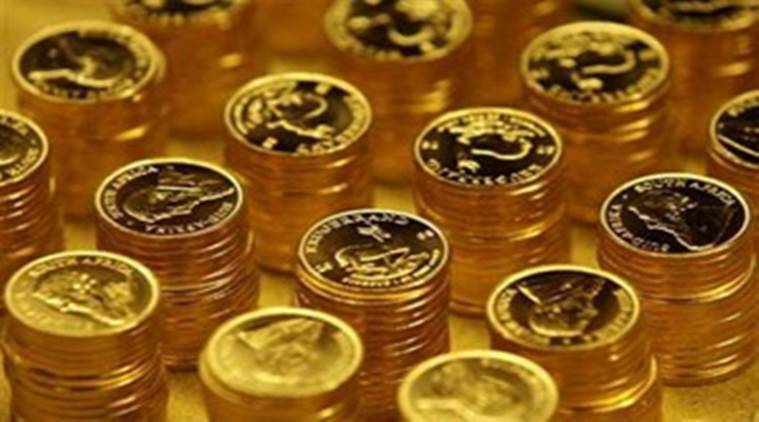 At the Multi Commodity Exchange, gold for delivery in far-month June was trading lower by Rs 56, or 0.19 per cent, at Rs 29,340 per 10 grams, in a business turnover of seven lots. Also, the metal for delivery in April shed Rs 39, or 0.13 per cent, to Rs 29,293 per 10 grams in 345 lots. Analysts said apart from profit-booking by speculators at prevailing level, a weak trend in global market mainly led to the fall in gold prices at futures trade. Globally, gold fell 0.06 per cent to trade at USD 1,232.60 an ounce in Singapore.